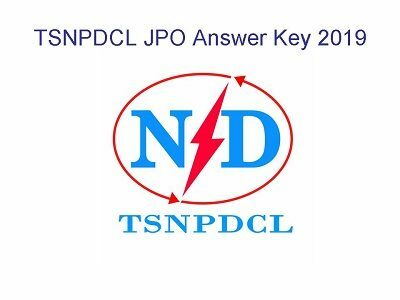 TSNPDCL JPO Answer Key 2019 All Sets / Serious A B C D: Northern Power Distribution Company Of Telangana Limited Vidhyuth Bhavan Has Issued the Notification Of Junior Personnel Officer-JPO On Direct Recruitment Basis. TSNPDCL JPO Notification Number is 05/2018 and Advertisement Released On 18-12-2018. Huge Number Of Telangana Candidates Applied For TSNPDCL JPO Posts Before 17-01-2019. Total 25 JPO Posts are Going to Fill Up Through the Candidates Performance in Written Exam. TSNPDCL JPO Written Test Successfully Hosted On 10th February 2019 ( Sunday ) From 10:30 P.M to 12:30 P.M. After the Examination All are Eagerly Searching For Results and Key Papers. TSNPDCL JPO Answer Key 2019 Official Will be Available With in One Week. Aspirants Must Wait For TSNPDCL Junior Personnel Officer Answer Key All Sets A B C D.